BEVERLY HILLS, Calif. – Tall and lanky Wyatt Russell displayed amazing athletic prowess when he was just a kid. He was so good at ice hockey that he moved from California to Vancouver when he was 15 to play. Two years later his team aced the Provincial Championship. But at 24 his career was suddenly over. “My whole right side, from my knee to my hip, is torn so I couldn’t play anymore,” he says. But Russell, who’s shy by nature, had a tough time fitting into the “actor’s” persona. 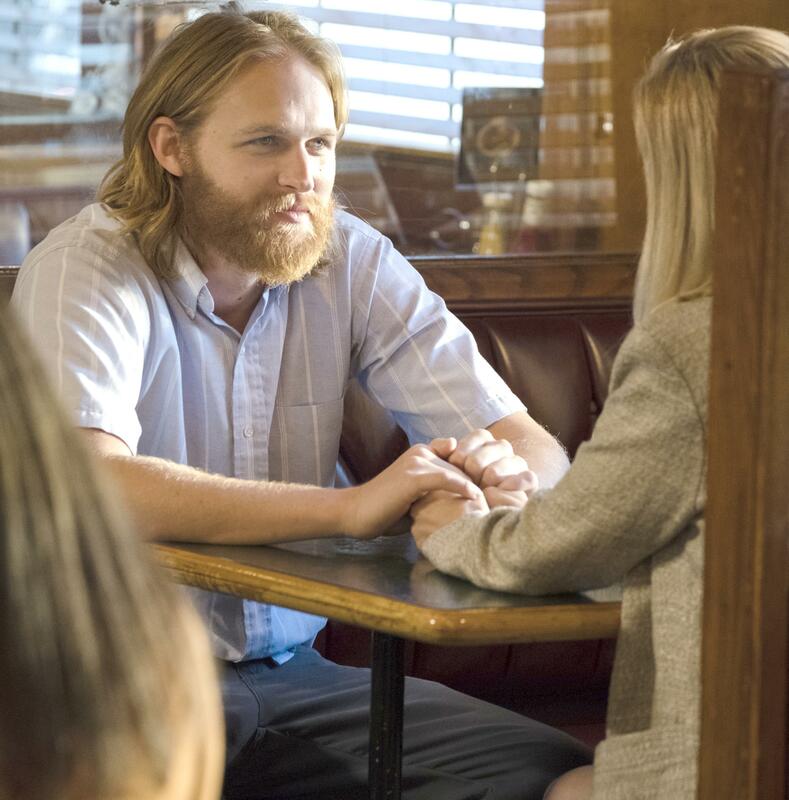 Luckily he’s overcome his timidity for his latest role in AMC’s “Lodge 49.” Russell plays a shiftless surfer dude who sleeps on his sister’s couch and owes everybody money. But when he joins a genial fraternal club, it may change his path. “I read the script for ‘Lodge 49’ and the tone is so different from anything I’ve seen, and it so reflected the way I feel about storytelling,” he says. It turned out the filming took place on Native American ground and one of the elders had died, so the company had to shoot elsewhere. “I did that job, then another job, and I thought this is great! This is awesome! Then a year and a half – nothing. It was a desert,” he shrugs his shoulders. Russell was fortunate when he auditioned for director Jim Mickle. “I came to him and said, ‘I’m going to be honest with you, I don’t think I’m good at auditioning, don’t think I’m good at certain aspects of getting a job, but I think I can do the job well.’ It was a different animal. We had a great conversation, I was able to tell the truth to this person because he would listen, like a friend,” he says. Mickle gave him the role, the main character in “We Are What We Are.” “He and his partner, Linda Moran, gave me the experience of what it was to make movies the right way,” recalls Russell. Four years ago Russell, 32, was filming another movie in Georgia when a tragic train accident killed one crew member and injured seven others. “I don’t usually talk about this,” he says. “It changed my life. I was there when it happened, and it was a true catastrophic event … A girl lost her life and everybody’s life changed on that track. It gave me an appreciation for life that I never had. It’s hard to put into words,” he says. He says the tragedy reinforced the idea that one should take time and care whatever the endeavor. “Don’t skip over steps for the sake of speed because it doesn’t end up better. On a personal level (I know) life is just fragile,” he says. Published: Sept. 10, 2018, 11:15 a.m.